Belvedere Designs: December 2016 Customer Photo Winner! December 2016 Customer Photo Winner! 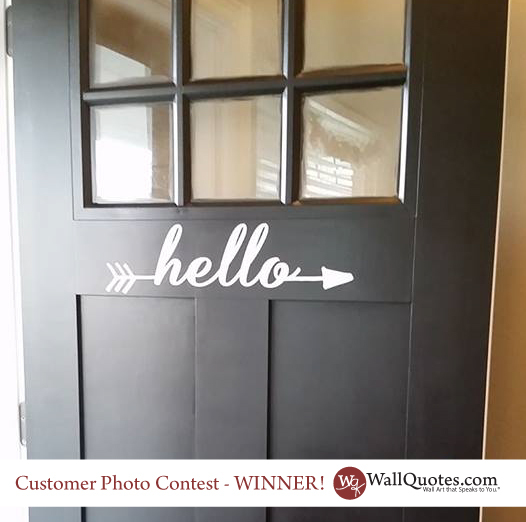 Elizabeth posted this picture of her new Hello Arrow WallQuotes Decal on Facebook and tagged us. We are so happy she did - we fell in LOVE with her GORGEOUS Black front door! So classic! Sometimes a little element like this makes all the difference.